Simply put, Anthem receivers are the best-sounding receivers we have ever sold at Audio Advice. Whether you enjoy experiencing immersive surround sound in a home theater or spinning some classic vinyl, the sound of Anthem is head and shoulders above the competition. Anthem has three current home theater receivers in their lineup that all share some similar features and technologies -- the MRX 520, MRX 720, and MRX 1120. We’ll start by discussing what they all have in common, but perhaps more important are the benefits as you move up through the line. We hope that this comparison guide will help you make the right buying decision, as we understand that it’s an important, long-term investment in your overall system. First and foremost, Anthem is about sound. There are no gadgets or tricky features that might degrade the audio. All three receivers have massive power supplies and large amplifier sections. Even the entry-level MRX 520 weighs in at over 28 pounds! They all have the latest (at least as of this review) in video technology supporting HDMI 2.0a, HDCP 2.2, HDR, and all of the full range color now available. All three also have 7 rear-panel HDMI inputs and one on the front for your convenience (8 HDMI inputs total). They all also have dual HDMI outputs to run 2 displays. All of the inputs are fully assignable, which we love. Let's say, for example, that you wanted to listen to the local sports radio host while watching the game. You can assign the tuner (or any) input to the video feed from your TV source. One of the really great features of Anthem is their room correction technology, known as ARC (Anthem Room Correction). We go into this much deeper in our MRX 720 review, but suffice it to say, it is just amazing. Your room has more influence on how your system will sound than anything. It can cause big dips and peaks across the audio spectrum. Anthem developed a technology to measure what your room is doing to the sound and automatically make the necessary adjustments to eliminate these issues. 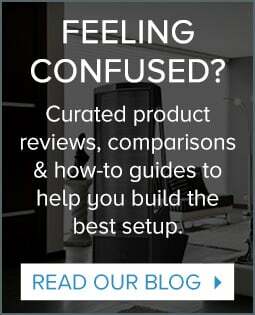 Many other companies have something similar, but nothing that we have heard outside of a $15,000 Datasat surround sound processor does it better than ARC. Let’s say you love two-channel in its pure form and want to run a pair of large, floor-standing speakers full-range for that situation. For home theater, however, you want to cross them over to a subwoofer. No problem -- just set up a different speaker memory. Simply assign a different room correction and speaker setup mode to different inputs, set your turntable input to one of them, and all your surround sound inputs to another! The Digital to Audio Converters in the Anthem receivers are state of the art using premium 32-bit / 768 kHz differential-output D/A converters. That sounds like a mouthful, but the end result is a sound that is pure, sweet, and never harsh. Just keep in mind that, while the Anthems do sound great on vinyl, none of them include a phono preamp, so you will need to add one separately for your vinyl collection. Now that we’ve discussed what all three of these receivers in Anthem’s MRX lineup have in common, let’s start with the entry-level MRX 520 and work our way up, pointing out some of the important features and differences along the way. Anthem makes it super easy to know how many channels of amplification their receivers have. The first numeral in the model number stands for the number of channels. So, as you might have surmised, the Anthem MRX 520 has 5 channels. The power rating on the 520 is a very conservative 100 watts per channel. The MRX 520 is perfect for someone who wants a great-sounding, but a basic surround sound system with a limited number of speakers. It does not support Dolby Atmos or DTS-X but does handle all of the previous surround modes. Anthem, like one of our old favorites, Lexicon, also has their own surround modes which work quite well. The MRX 520 gives you preamp outs so if you wish to add a bigger amp later for those big tower speakers you want to get one day, you can. If you are limited to left, front, center, and a pair of surrounds, the MRX 520 will make that set up sound better than any other receiver you will find. And when you kick back and listen to music, you’ll have a smile on your face! The Anthem MRX 720 is our best-selling home theater receiver, and it’s easy to see why. The 720 gives you support for both Dolby Atmos and DTS-X; the latest surround sound technology. It has 7 powered channels rated at 140 watts per channel. In most situations, we see the MRX 720 being used with one pair of side surrounds and a pair of in-ceiling Dolby Atmos speakers. Yet, unlike a lot of 7 channel receivers, it has full decoding on board and preamp outputs for 11 channels. 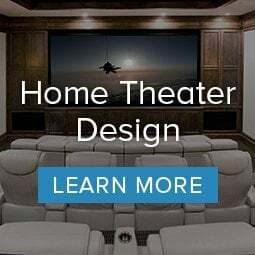 You may be starting out your theater with just 7 channels like we described, but plan to go to a full-blown Dolby Atmos 11 channel version one day. With the preamp outs on the MRX 720, you can easily add a power amp later to give you those extra channels. We even have some people who will just start out this way if they have a spare amp around that they can use. If Dolby Atmos is in your home theater planning, you can not go wrong with the MRX 720. We recently published a full, much more in-depth review of the Anthem MRX 720. We’ve included the video review below as well. If the 720 is something you’re considering, be sure to check it out. For a full-blown Dolby Atmos system, the Anthem MRX 1120 provides you with 11 channels at 140 watts per channel. You’ll get all of the great features found in the other receivers, plus enough amp channels to create an amazing home theater system. Should you later want more power, it has preamp outputs for all of the channels, allowing you to add a larger amp (and Anthem makes a pile of them!) to any channel set. One fact that does not show up unless you really study things is that the MRX 1120 has a different type of power supply than the 520 or 720. It uses one similar to what Anthem selected for their top of the line AVM60 surround sound preamp only. 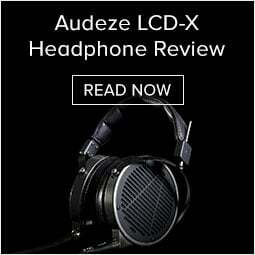 This helps you achieve an even more refined sound. We have had many customers replace their home theater separates that cost twice as much with the MRX 1120 and tell us the sound is far improved. This guy really sounds great. To us, it sounds smoother and richer than the MRX 720. It is not a huge difference, but you can hear it if you are into good sound. If you are thinking of starting out with 11 channels or want the very best sound, choose the MRX 1120! Still Can’t Decide? We Can Help! We hope this quick comparison will give you some sense of which Anthem is right for you. All three sound just amazing, and unlike many receiver brands, it mostly comes down to the number of amp channels you need to drive. All share most of the same great amps, DACs, and of course the amazing Anthem Room Correction. Of course, if you are still having trouble making up your mind, our team is happy to help! If you’re located within driving distance to North Carolina, be sure to visit our Raleigh or Charlotte showroom! We even have multiple full theaters in each location for you to experience first-hand. 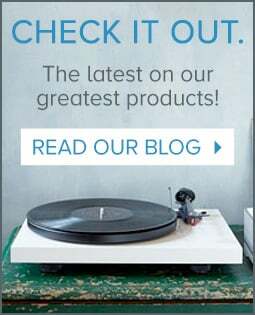 If you’re anywhere else in the US, please note that AudioAdvice.com is one of only two Authorized Anthem Dealers in the US! Simply give us a call or chat with us and we will be glad to help!